Ask people of a certain age from particular parts of our country about running an on-going bar tab, and they will know how this sort of credit system works. For those who have had nothing but corporate-owned chain drinking establishments where an on-going tab is verboten, indulge us. The tab credit system runs something like us - you establish yourself at a watering hole, and after a length of time through the generosity of the barkeep, they will serve you all the shells of Hamm's and shots of Kessler you care to imbide in on credit. Like any line of credit, there are limits and, of course, your barkeep will remind you to pay on your tab, usually every week when you cash your paycheck there. If you keep current on your tab and continue to patronize the watering hole, everything moves along swimmingly. If you don't stay current, or suddenly quit patronizing the bar, some burly guy tracks down the offending creditee and uses his power of persuasion to extract payment. Somebody on the Elk Grove City Council apparently has experience running an on-going bar tab because that is what they are now doing, only in reverse when it comes to road maintenance. Instead of expending the $8 million a year in required road maintenance, for the last several years they have consciously decided to stick their heads in the sand and defer payment. While they are not likely to have an enforcer track them down like the bar tab skipper, each year they defer maintenance, that tab continues to grow. Based on the statements made almost two years by Richard Shepard, Elk Grove's former Director of Public Works, the tab is, at least, $16 to $24 million, maybe more for all we know. The only question is will that annual growth by arithmetic or geometric. Either case the tab is growing with every passing day and Elk Grove roads continue their deterioration. 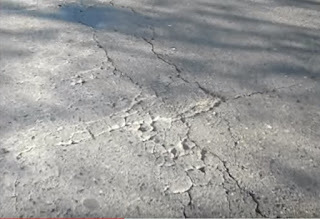 So just what is the Elk Grove City Council' plan to address our rapidly deteriorating roads? Quite simply, they are relying on a possible Sacramento County sales tax increase that might be pursued by the Sacramento Transportation Authority (STA). This is a risky strategy to address how to maintain and bring Elk Grove roads to grade. There is a good chance when Elk Grove voters go the polls in either June or November, they will be faced with a $600 million Elk Grove School bond, and one-half-percent sales tax increase from both the STA and the City of Elk Grove. Voters will also be asked to consider a $9 billion State of California school bond and a possible renewal of 2012's Proposition 30. City Council Member's are gambling that not only will county voters approve a county-wide sales tax increase to fund local road maintenance, but that Elk Grove voters will authorize a city sales tax increase to fund several discretionary projects as well as on-going operations. This is a risky bet as sales tax increases need a 66-percent majority for approval. So what happens if one or both of the sales tax increases are defeated? 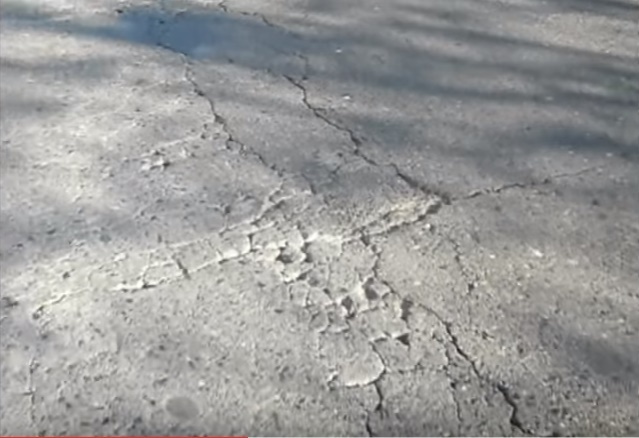 How will the Elk Grove City Council then fund road maintenance? What about the city's assortment of unfunded or underfunded projects like the animal shelter that is being vigorously pursued by a vocal group of Elk Grove animal welfare advocates? It is a risky game the City Council is playing. They would be well advised to have a backup plan because just like the guy who skips on his bar tab and is visited by an enforcer, voters will eventually look to exact a pound of flesh as roads steadily deteriorate and animal shelter advocates don't have their much-desired rescue operation and shelter. The tab is coming due so get ready to pay. And if voters reject the sales taxes, our faithful leaders will use us as the excuse for them not being able to maintain our roads. They will shovel out the twisted logic and to use your bartab analogy-it would be like the patron telling the bartender when faced with the bill, "hey I shouldn't have to pay that tab, the guy sitting next to me was encouraging me to drink and I was just trying to be a good sport and keep up with him". We all better roll up our pants legs because it's gonna get mighty thick in here between now and November! I think the voters of this city along with retailers have had enough of the City Councils misuse of funds and now are wanting to dig deeper into the taxpayers pockets. In getting the school bonds and sales tax increase will be like the City Council standing in front of a rhino with a BB gun and trying to stop the NO vote. As much as I love my pets the idea of Elk Grove building an Animal Shelter should be a NO also, let the County and SPCA take that responsibility. Much too costly for this small suburb. Sometimes we just have to face reality and live within our means...something our Council has yet to learn. Just maybe....we'll have some new heads come forward this year and get the economic fix in, get us back on track to being good stewards of the taxpayers monies. Actually I think the "City of Elk Grove" as a whole, is Growing a Risky Tab.